When the going got rough for Trustee Marne Foster, Supt. 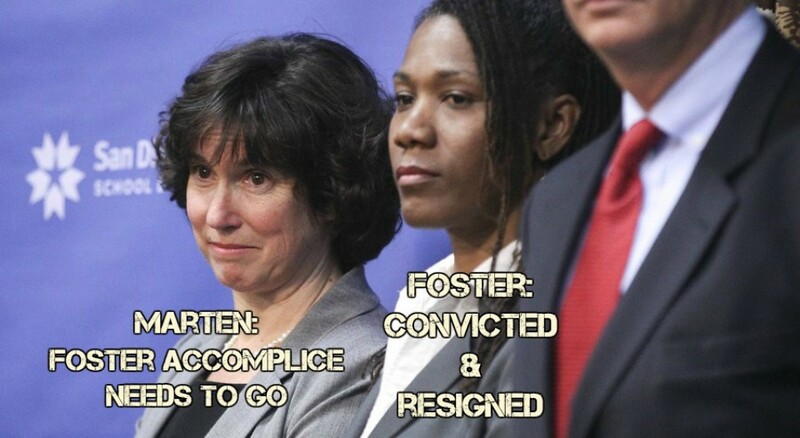 Cindy Marten denied her own obvious involvement and let Foster take all the blame! Welcome to the Period 2: December, 2015 – March, 2016 Performance Evaluation of SDUSD Supt. Cindy Marten. 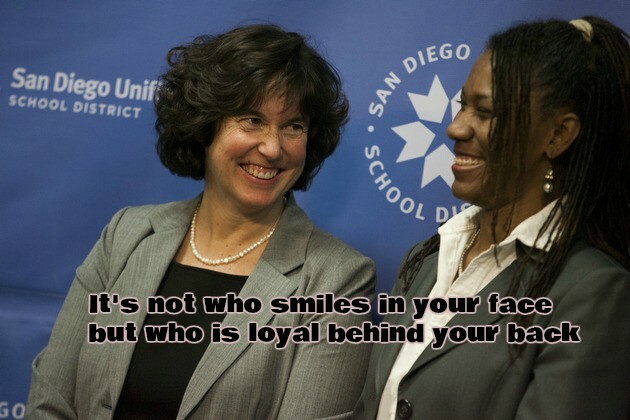 In December, 2015, the San Diego District Attorney opened an investigation of former Trustee Marne Foster and Superintendent Cindy Marten was right in the middle of the improper actions at schools sites and the District Office. 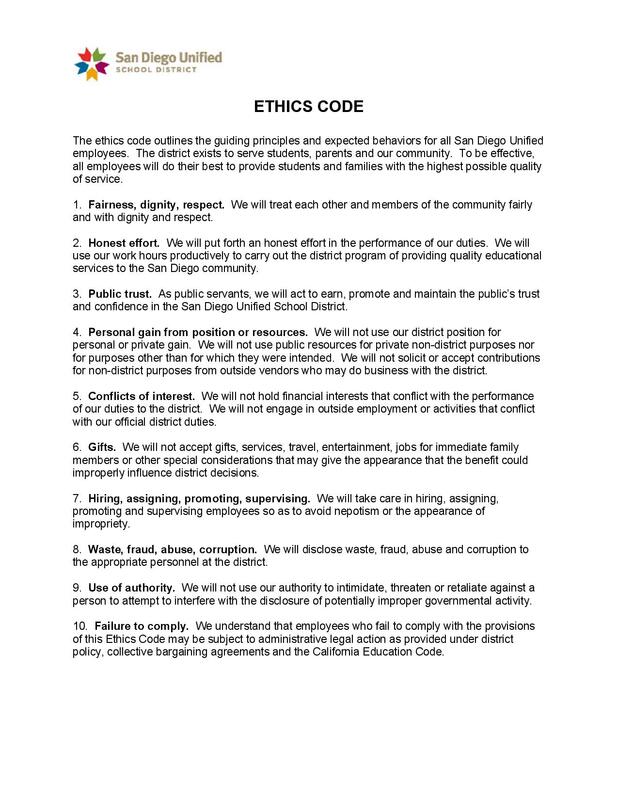 In the San Diego District Attorney Warrant Against Trustee Marne Foster Supt. Cindy Marten did everything she could to avoid the shared blame she had with Foster’s improper interventions at SCPA. 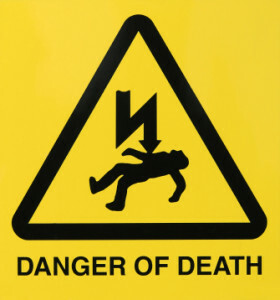 Marten made the implausible claim that even though Foster gave her direction to punish SDUSD employees and even though she actually DID punish those employees, there was no connection between those two acts. It was an obvious lie to save her own skin and in return, betray her co-conspirator Trustee Marne Foster. 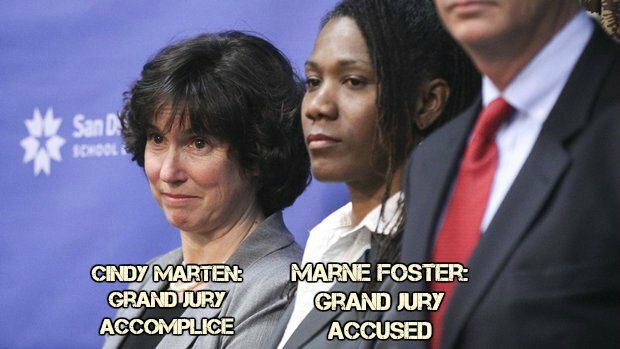 Marten also knew virtually everything about the fraudulent $250,000 claim and said nothing to the San Diego district Attorney until she was FORCED to testify in the Warrant. 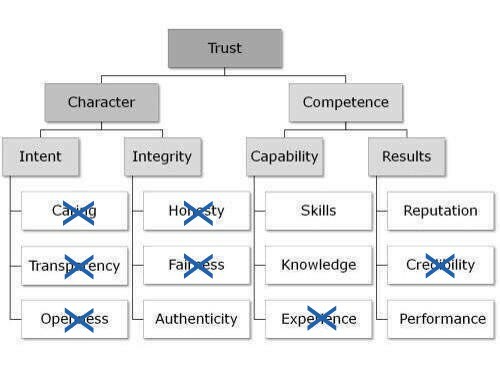 In her statements, Marten betrayed her accomplice, Marne Foster and also betrayed every SDUSD Stakeholder and shredded her authenticity by not admitting her guilt and resigning from her position. In January, 2016, San Diego had 3.21 inches of rainfall, nearly twice as much rainfall than normal. The National Weather Service and all local media predicted the huge rainfall totals. Superintendent Cindy Marten was oblivious to all the warnings of the El Niño! Unfortunately NO ONE at the Elementary, Middle or High Schools is professionally prepared or able to determine “if water intrusion or rain damage creates a safety hazard for students or staff”. How is the site staff to determine what contaminated, disease filled sewage water students and teachers had to wade through between classes due to not having sandbags to divert the flow and create safe pathways…and what illnesses will those individuals incur because of it? 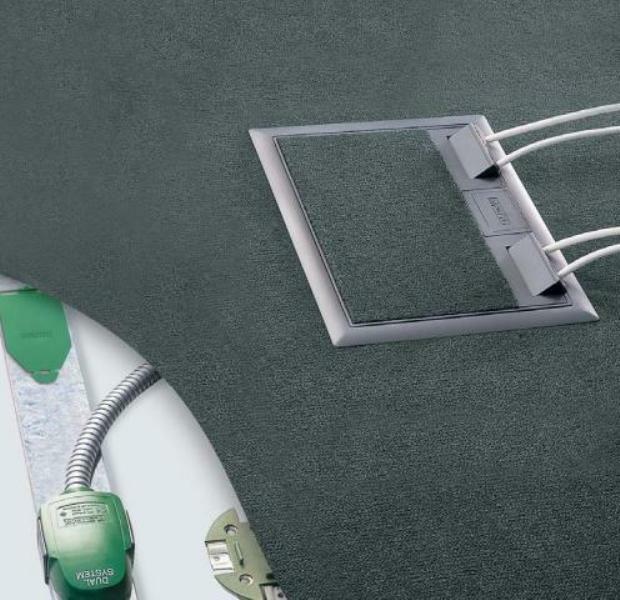 With flooded floor electrical plugs threatening to electrocute students in classrooms and libraries, Marten’s operational incompetence reached lethal levels and proved her total lack of operational knowledge and skill in protecting the safety of SDUSD Students and Staff. DID NOT file a complaint with the District Attorney for Foster’s illegal actions and actually COVERED IT UP! DID NOT report it to the SDUSD Board of Education! DID NOT reveal it to the San Diego Grand Jury and actually refuted it by saying that controls were in place and nothing was wrong! DID NOT include the incident in the 61 page Data Dump in response to the SCPA issues. DID NOT tell the $40,000 Private Investigator that provided the SCPA report. Intentionally ALLOWED the false 61 page SCPA report to go out to TRUSTING SDUSD STAKEHOLDERS as FALSE PROOF OF JUSTIFICATION for her improper support of Fosters actions at SCPA. Supt. Marten’s own testimony to the District Attorney proved her guilty of operationally supporting Trustee Foster’s improper and illegal actions. At the same time a Student was being tased by a School Site Security Officer for an altercation on the Lincoln High School campus. As we described in “The Lincoln High School Altercation – The NAACP, a Former SDUSD Senior Administrator and Principal Mitzi Lizarraga Speak Out!! !“, through her inadequate response to the incident, Marten betrayed the SDUSD Police, the Lincoln Community, and all supporters of the Restorative Justice Program. Quickly and recklessly abandoning REAL Restorative Justice principles shows that Supt. 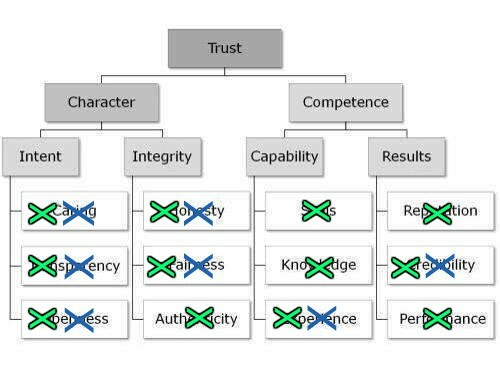 Marten lacks the honesty and abilities to successfully perform her duties in a large multi-cultural school district like San Diego Unified. Example: Again, District Attorney Warrant shows Marten lying for personal gain over and over again. Examples: Abandoning established Restorative Justice principles is the ultimate intimidation of SDUSD Police, Teacher and Students. 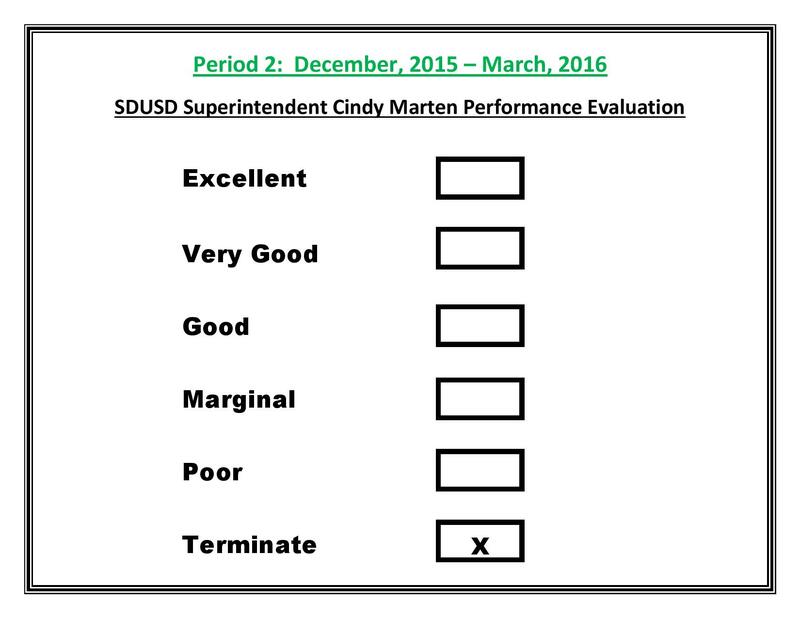 Based on the proof of her lies in the San Diego District Attorney Warrant, putting all SDUSD School Site Students, Employees and Visitors at risk of contamination and electrocution and abandoning her promises of Restorative Justice, the Performance Evaluation for Period 2 for Cindy Marten is job termination from the Superintendent position.